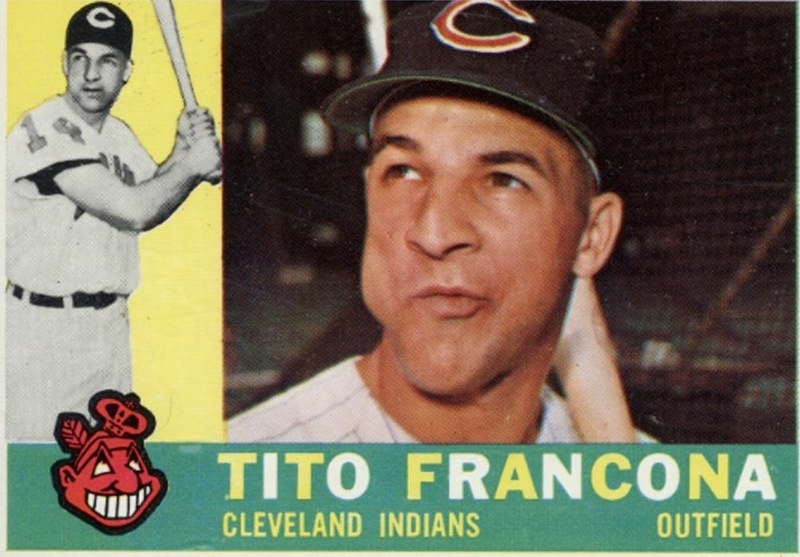 John Patsy Francona- known as Tito was born on November 4, 1933 in Aliquippa, Pennsylvania. The five foot eleven left hand hitter was originally signed by the St. Louis Browns for a $10,000 bonus in 1952. He then went off to serve in the Korean War for two years, returning as the team had relocated to Baltimore as the Orioles. In his rookie year, he came in second in the Rookie of the Year voting, tied with Bronx born; Rocky Colavito but a long distance away from Luis Aparicio. Francona hit .258 with 16 doubles 9 HRs 57 RBIs & 11 steals for the sixth place Orioles. After two seasons in Baltimore, he would go to the Chicago White Sox & Detroit Tigers in 1958. In 1959 he was traded for Larry Doby, to the Cleveland Indians where he found a home. Trivia: It was the second time he was involved in trades that included Larry Doby. 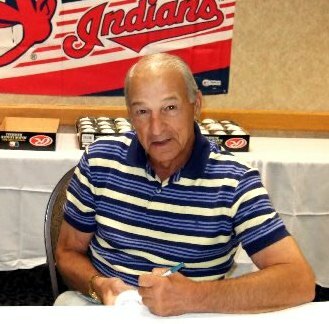 In Cleveland in 1959, Francona had a career year in his first season. He batted batting .363 but did not qualify for a batting title, due to the fact he pulled a ham string during the last week of the season and played in just 122 games on the year. He fell short by 34 at bats even though he led the eventual batting champ Harvey Kuenn by ten points. He hit 20 HRs with 17 doubles 145 hits & 79 RBIs coming in 5th in the MVP voting. He came back in 1960 to lead the league in doubles (36) hit 17 HRs bat .292 & drive in another 79 runs. In 1960 he had another fine year, leading the league in doubles (36) batting .292 (8th in the AL) with 84 runs scored (8th in the AL) hitting 17 HRs with 79 RBIs, as well as being one of the leagues best defensive left fielders. 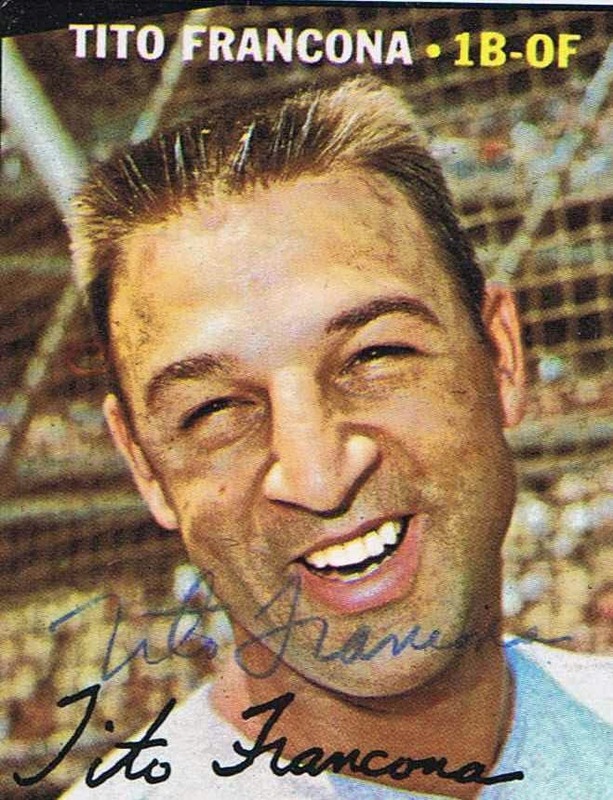 Francona would spend six years in Cleveland (1959-1964) batting over .300 once again (.301) in 1961 with 16 HRs 30 doubles & a career high 85 RBIs, making the All Star team. He hit .272 in 1961 but fell off to .228 in 1962. In July of 1963 in a game against the Los Angeles Angels, Francona hit the fourth of four consecutive Indians HRs. It was only the second time in history that that had been done. Tito went on to play, as a first baseman & outfielder with the St. Louis Cardinals (1965), Philadelphia Phillies (1967) Atlanta Braves (1967-1969), Oakland A's (1969- 1970) & Milwaukee Brewers (1970) mostly as a reserve player. In 1968 he was the Braves main left fielder in an outfield of Hank Aaron & Felipe Alou. While in Milwaukee that final season he brought his son Terry with him on a ten day baseball trip. The ten year old Terry was in awe meeting the players & visiting the clubhouses, he said it was the ten best days of his life. Tito finished his 15 year career with 1395 hits 125 HRs 224 doubles 34 triples 656 RBIs & a .272 average posting a .343 on base %. Retirement: Tito has been proud of the accomplishments of his son's career as well. In 2001 Tito was voted one of the Top 100 Cleveland Indians of all time. 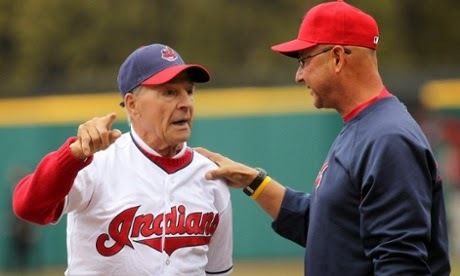 He is very happy to have his son Terry now manage the Indians, a team he still has ties with & appears at various Indians events. In his retirement he has had two open heart surgeries & most recently had both his knees replaced.